Let's first start off by saying that in most cases we don't recommend inserting images into your emails. It can increase the chance of your messages going to spam. 1) To insert an image, first you need to upload your image somewhere that can give you a public link. Postimage is a service that some of our customers use, but our recommendation is to host the images on your own website. 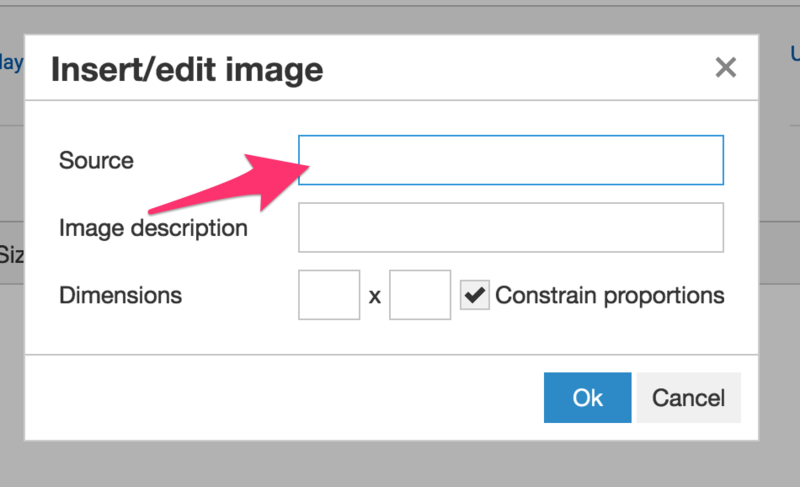 Postimage is a sample service we are demonstrating; images there may not live permanently and if so we'd recommend using a different service). 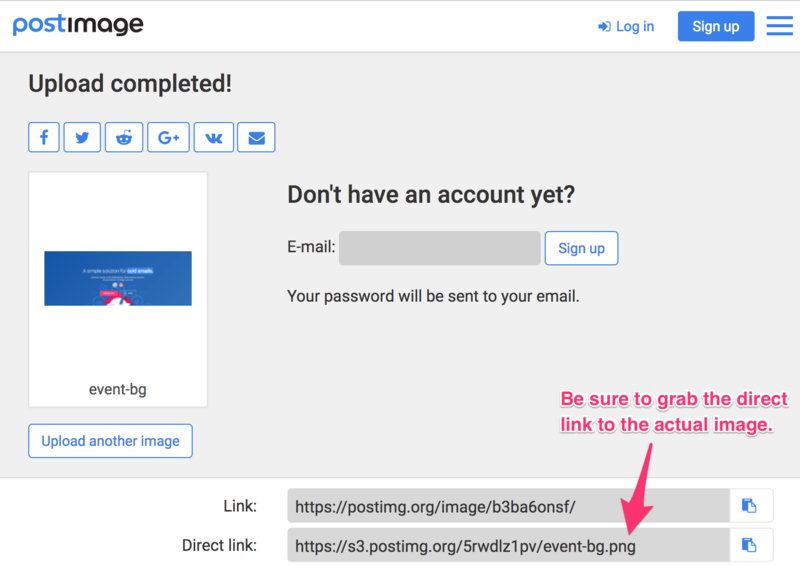 2) Once you have a public link to your image, you should test to make sure that the link you have is really public. One easy way to do this is to open an "incognito window" in the Chrome browser, paste your link, and see if it loads.